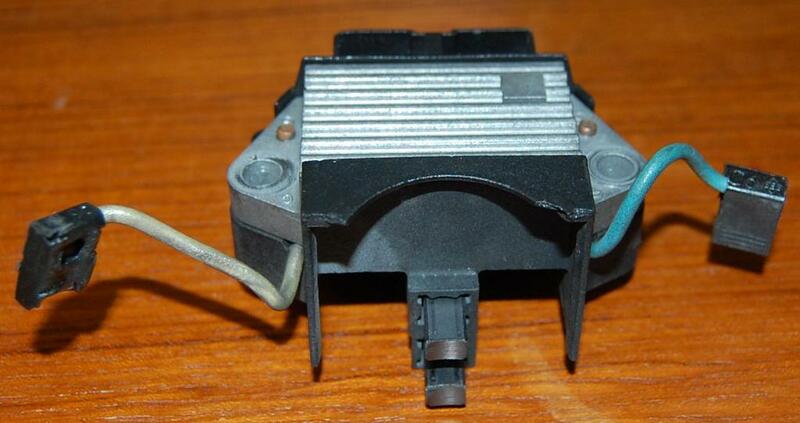 (US '84) My alternator suddenly stopped charging on my way home this evening. For reference it is a bosch 90A, 10 months old with 5k miles on it. Recently I had an issue with poor/no charge at idle with the blower and headlights on, otherwise it was working fine. - is 10.5V at blue wire close enough to battery voltage for the alt to charge properly? - since I have the voltage regulator removed, can I test it separately? If possible I would prefer to buy a regulator rather than $130 on an entire alt. Also this is my DD so I cannot afford too much down-time. usually the brushes are worn but with a new alternator this should not happen. However if the rebuild used a less than best Bosch regulator than this may be the issue. Good suggestions. The current regulator is a Paris-Rhone according to the faded label. There is plenty of life left in the brushes. Slip rings look good. In the meantime I will clean engine & battery grounds + 14 pin connector as suggested. The hot post was cleaned and ox-gard applied fairly recently. >> Charge lamp works when key is on. Does the lamp go out once the engine is running? 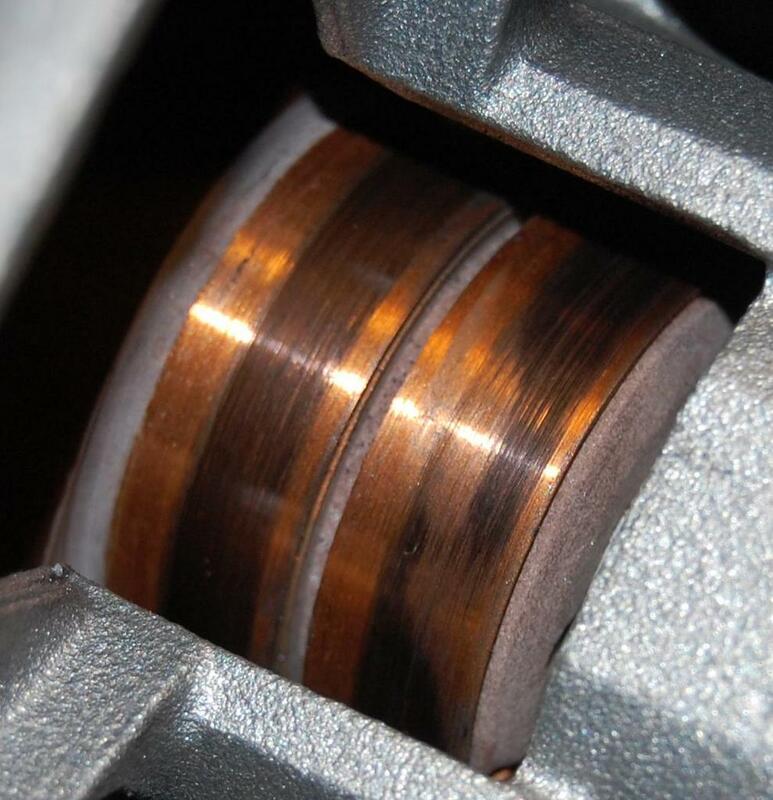 Excitation comes through an internal diode once the alternator starts charging on its own. So if the light is out there's adequate voltage being generated to at least supply the field current. Depending on your meter, should be battery voltage when disconnected, key on. Modern meters should show full battery voltage. 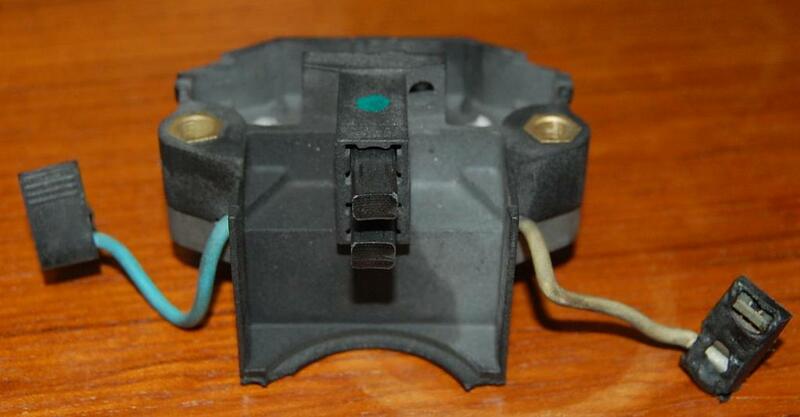 This is the excitation source for initial alternator light-off on start-up. Relates to question above too. Stan brings up a good point about the brushes. With the regulator removed, brushes should be obviously long enough to reach the slip rings on the armature. Cheapo "rebuilds" often just include cleaning and a new regulator/brush set/holder assy. The slip rings on the armature are a bit of work to replace, so cheapo rebuilders often try to skip this step if they are anything less than trashed. You can see the slip rings through the opening for the VR. If they are significantly worn or burned, you will miss out on alternator capacity. Perversely, a worn set of rings and bruhes is treated to higher excitation current, burning these parts even more quickly. Here's some pics. On a second inspection there was an odd pattern on one of the slip rings (pictured). Lamp does NOT go out with engine running - all warning lights stay lit, voltmeter reads 11 volts (usually reads 14 with engine running). My meter is a fairly modern DVOM. AFAIK it is accurate. Will 10.5v be to low for the alt to charge properly? Last edited by Opelotus; 01-27-2011 at 10:02 PM. According to the receipt the alternator has a lifetime warranty, is it worth taking it back? OTOH you should also test the diodes before you swap in a new regulator. Also if you have a warranty with the new alternator see if you can exchange it for another one. You can eliminate the low excitation voltage as a possible problem by momentarily adding battery voltage directly to the field terminal with engine running. If it suddenly starts charging you can go after the problem with the wiring/etc im the car. If no change then the alternator is the problem. Ah, thanks for the tip, I will definitely give that a try tonight. By field terminal you mean where the blue wire connects? Do I need to remove the diodes to test them? Yes on where the blue wire connects. After the on-car test with full field, waste no more time diagnosing a lifetime-warranty part. Your disassembly if discovered will void the warranty. Take it back to the seller and let thgem test/replace if needed. Ok I just did the full-field test. With a multimeter reading 11.7v with the engine running, I fed power to the field connector on the alternator, voltage increased to 11.9v and rpms dropped slightly as if there was a load on the engine. Also did a voltage drop test across engine ground cable, battery ground strap, and alternator B+ to engine bay hot post - no voltage drop on either of the three. So is it safe to say the alternator is dead?